A Poem - "In Defense of my Dog"
People want it to be a tunnel, and they hope it’s part of the system that they’ve heard rumors connected to downtown Wheeling for as long as they can recall — something involving the Underground Railroad or maybe part of the history of mob activities in this Friendly City’s lore. It’s just not. It’s a basement. Call it a “vault” if need be, but it’s really just a basement where, for this one particular, liquor, beer, and other soon-to-be-distributed goods were stored so those items would be out of the way from constant operations. And it’s not a mystery or a surprise because such underground structures have been discovered at several locations in years past. Sandstone was the material used to construct the storage vault. So is the legend involving a network of secret passageways existing in the downtown district simply an unproven myth? “Technically, we do have tunnels under downtown Wheeling, but that’s because the utility companies have needed to create them,” Karelis explained. “But as far as a secret tunnel for the Underground Railroad? No. And if you think about it, those folks would have had to just run to the river for their escape. 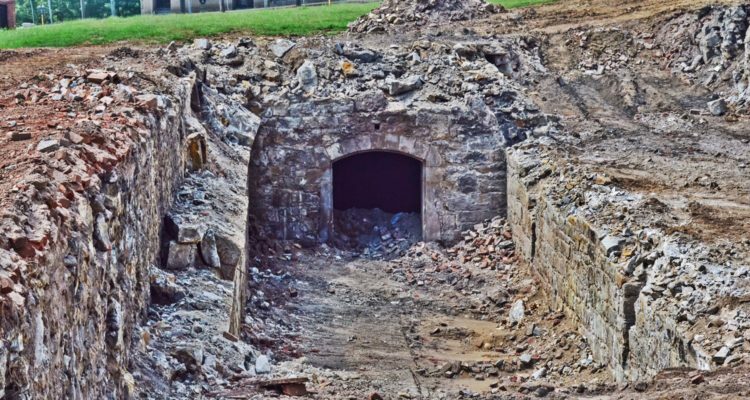 Most of the vault situated along Main Street has been removed this week by employees of EdgeCo Inc.
Did the Welty family construct the cellar, or was it constructed prior to the distribution business locating there? That’s a piece of history that is yet to be discovered at this time, according to Karelis. And it is still there, sort of. 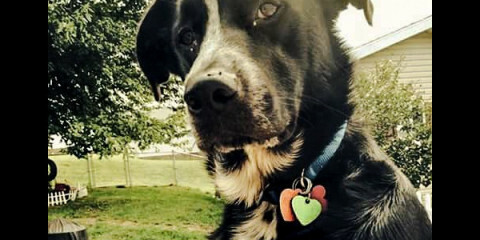 Before the razing of the former antique store on Main Street, Karelis ventured into it and collected a small box of china shards she found in the fortified cellar. That one, though, also will need to be removed just as this one was this past week to make way for the construction of The Health Plan’s new corporate headquarters. 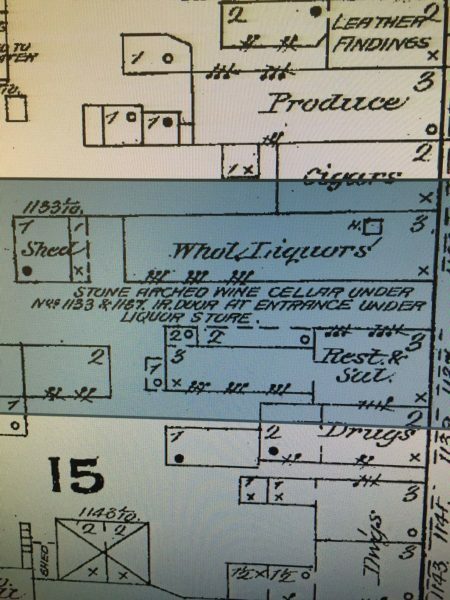 This historic map displays the presence of the cellar beneath the Welty liquor store. “I believe the cellar is still under there because they haven’t had to address that one yet,” Karelis said. “People have sent me photos of what they thought was a sink hole on the Main Street side, but that area is right where the basement is located. 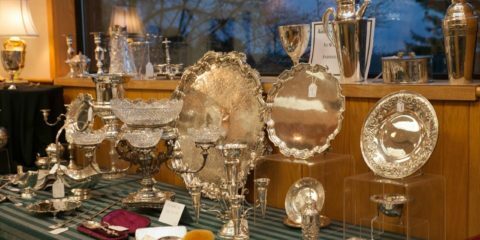 According to Sarel Venter of Adventures in Elegance, such storage areas were created thousands of years ago out of need for product preservation. “Vaults came to be when they ran out of caves to use,” he explained. 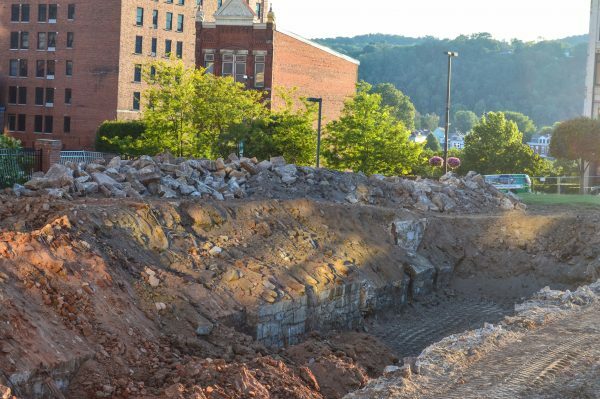 “At first they would dig holes and place trees over them for the necessary coolness, and then they moved forward with the use of sedimentary stone and the construction of vaults such as the one we were able to see in downtown Wheeling. 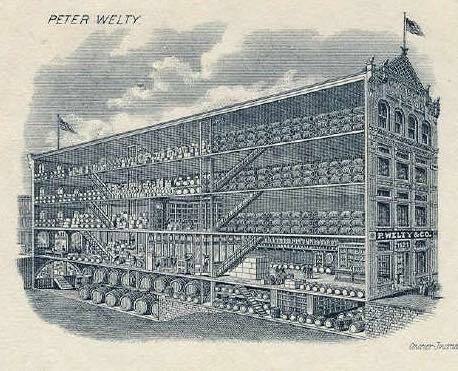 This illustration shows the size of the Welty building that once housed a distribution business in downtown Wheeling. 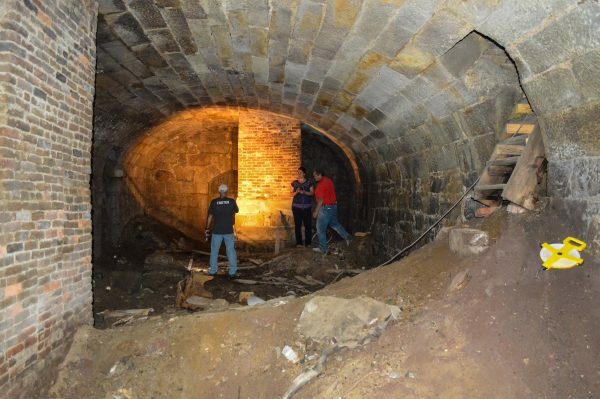 Many in the Upper Ohio Valley were awed by the uncovered cellar, but most were not aware that it was not necessarily a new discovery in the Friendly City. 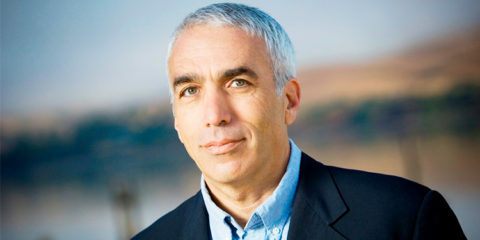 “A lot of people believe that this is a new discovery, but it’s really not. The one vault at 1120 Main St. was the basement, so the owners of that building were very aware that it was there. And none of them were all that deep either because they just needed to be under the ground so they the owners would have more room,” Karelis reported. “It was all about cold storage to preserve the products, and it was really an ideal area. 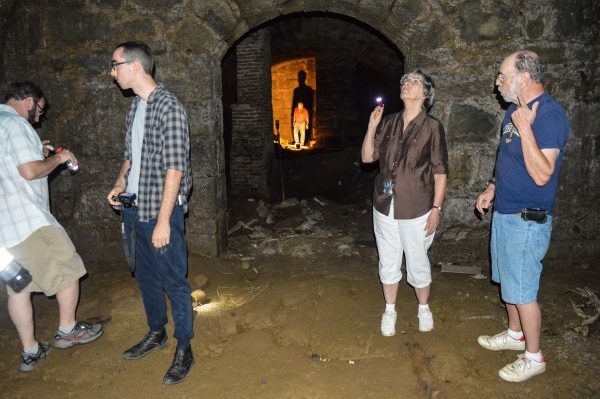 Wheeling Heritage historian Rebekah Karelis examines the cellar that’s located beneath an apartment complex on the north end of Wheeling Island. The vault along Market Street has been removed since being uncovered because, much to Karelis’ disappointment, such a space would serve little purpose during the development and utilization of a large office building. The cellar on Wheeling Island measure 84 feet in length and 19.5 feet wide, and the owners recently allowed Wheeling historian Jeanne Finstein and others to take a tour. “Preserving the one recently uncovered on Market Street didn’t make sense, and I understand the reasons why completely. 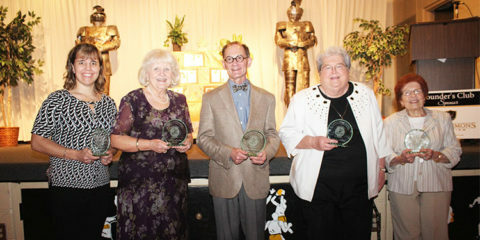 But what makes me feel better is that there remains an identical one on Wheeling Island,” she said. “They have great character, and you can tell there was great craftsmanship that went into building them. 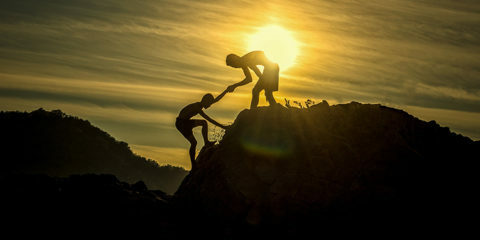 They tell a story about how people had to do what they had to do. Great Grandfather would tell stories of tunnels along Ohio River during prohibition. Not sure as to if it was the Ohio side or WV side. But yes there were stories of tunnels! I worked in a building on Main Street that had a vault like that under it. West side between 11th and 12th. It was full of old bottles. In North Wheeling, these sub basements also existed. Marquette Advertising had one. In Wheeling at Imperial Display, those buildings had these also. 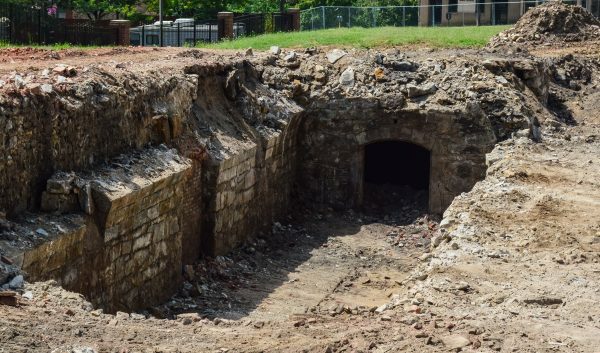 I’ve heard for years that there used to be a tunnel connecting the Capital theater with the old Court theater, which may have been originally a tunnel connecting the waterfront/RR area with the Old Courthouse at that location.